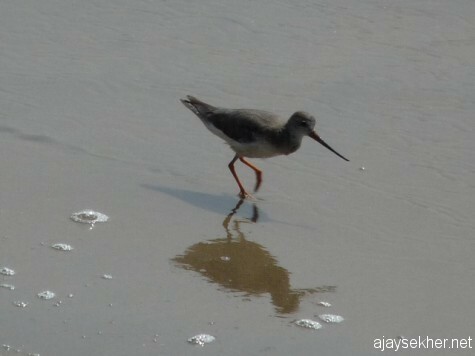 Tereck Sandpiper at Chaliyam beach, Calicut. 6 Jan 2013. 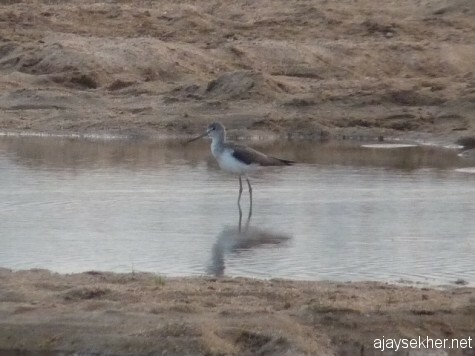 A solitary Marsh Sandpiper in Nila at dusk. Kutipuram, 5 Jan 2013. Also saw around 1000 Small Pratincoles on the sand beds downstream further late in the evening. 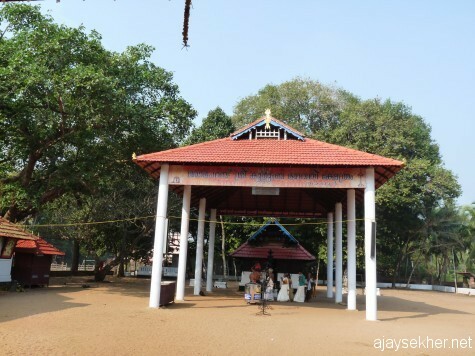 An ancient sacred grove-shrine Kurumba Kavu, Sobha Parambu, Tanur. Rare wild trees and medicinal plants are still left in the grove though vanishing. 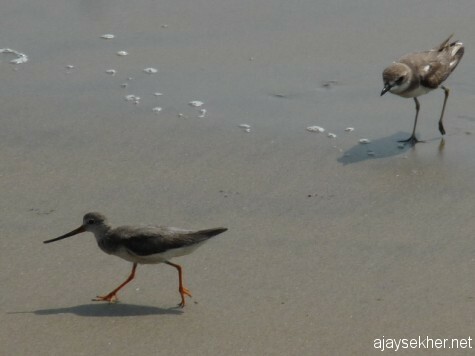 Terek Sandpiper and Sand Plover at Chaliyam, 6 Jan 2013. 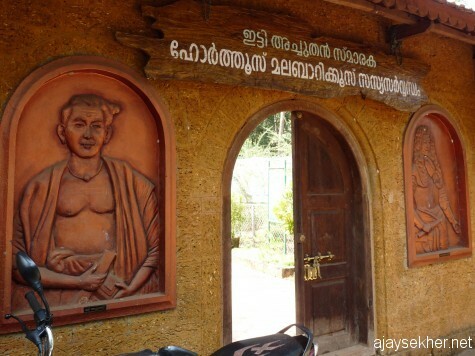 Itty Achuthan Vaidyar Memorial Sasya Sarvaswam, Chaliyam, Calicut. Bass relief of Itty Achuthan and Van Reid on the gateway. 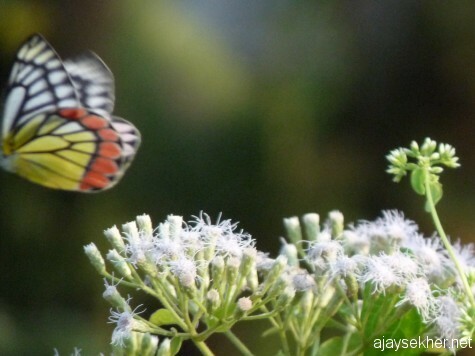 An asylum for endangered flora built on the old Chaliyam railway yard. Now with Forest Dept. 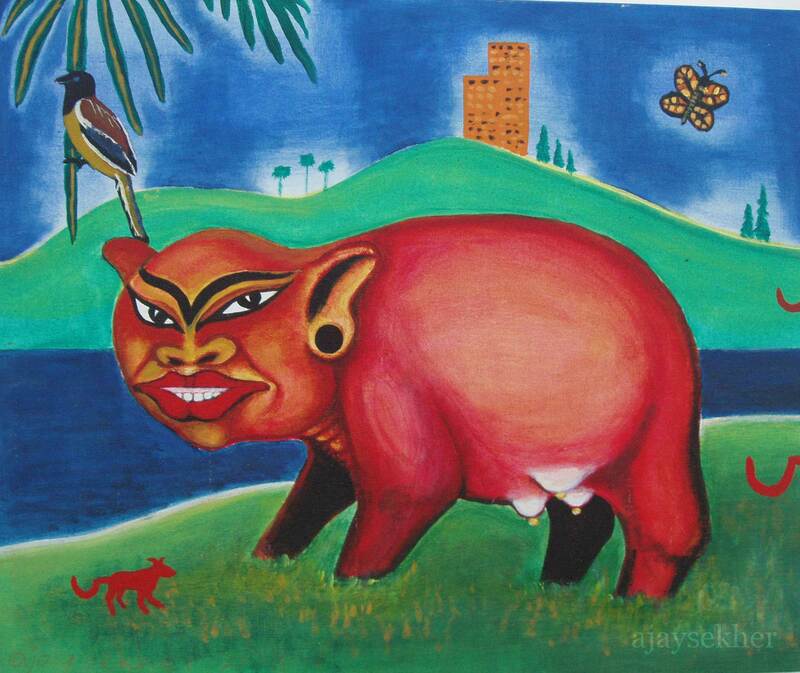 of Kerala. 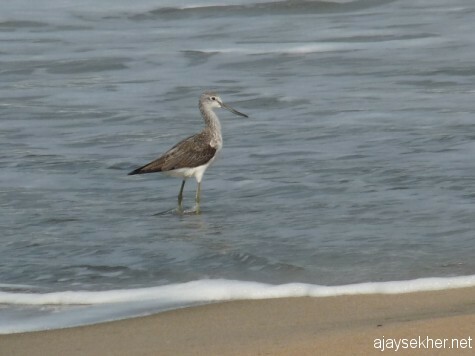 A Green Shank at Puthiyam beach, between Vallikunnu and Kadalundy. 6 Jan 2013. The migratory shore birds have decreased considerably this winter on these coasts says Vijesh a nature photographer from Kadalundy. 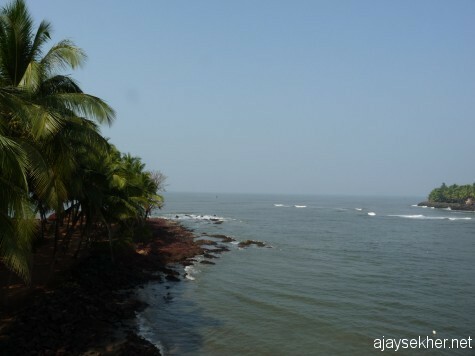 River mouth of Kadalundy where it empties into the Arabian Sea. Gulls in Kadalundy community reserve. 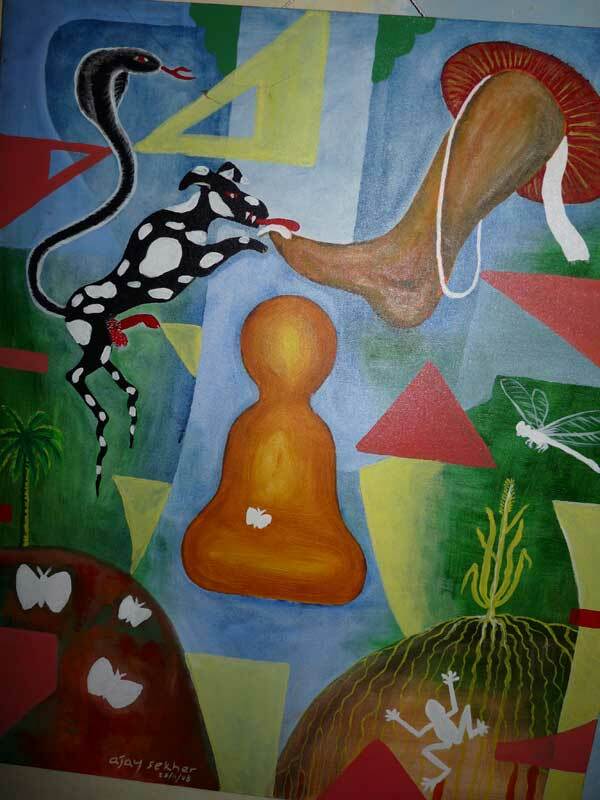 6 Jan 2013. Mostly small gulls including black and brown headed ones. Vijesh says that their numbers have drastically declined. A view from the road bridge. Increasing pollution and encroachment could be the reason for the decline in number of birds and species. 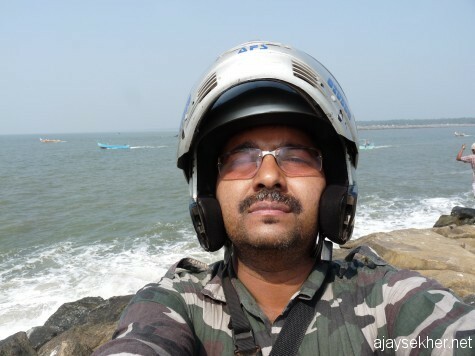 Vijesh reports Curlews and whimbrels from the sea shore. 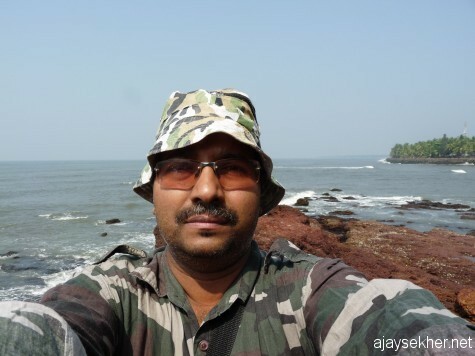 Self portrait at the river mouth of Kadalundy, 6 Jan 2013. 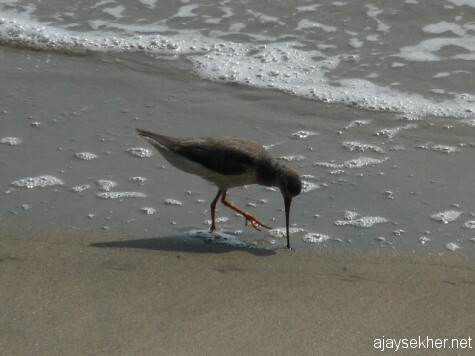 Terek Sandpiper feeding crustaceans with its long slightly upward curved bill at Chaliyam beach. 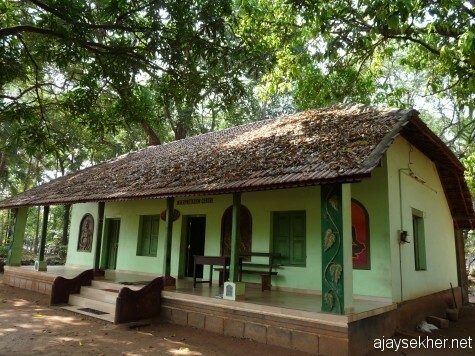 Old British bungalow now turned into an interpretation centre at Chaliyam Itty Achuthan Sasya Sarvaswam. This was part of the old Chaliyam railway station and yard abandoned with the extension of the rail line to Calicut in late 19th century. 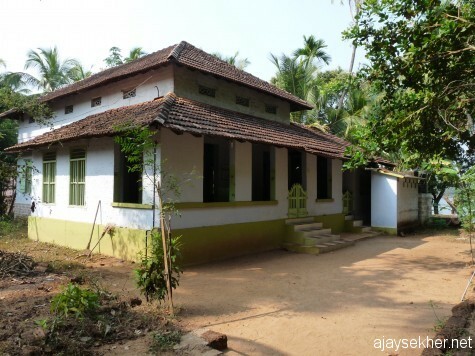 Chaliyam to Tirur was the oldest railway line in Malabar in the 19th century. 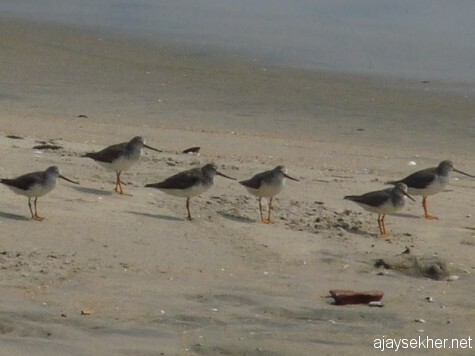 A group of Terek Sandpipers at Chaliyam beach, 6 Jan 2013. I remember seeing a couple of them some two years ago in Chandragiri and Manjeswaram estuaries in Kasaragod during 2010-11 winter season. 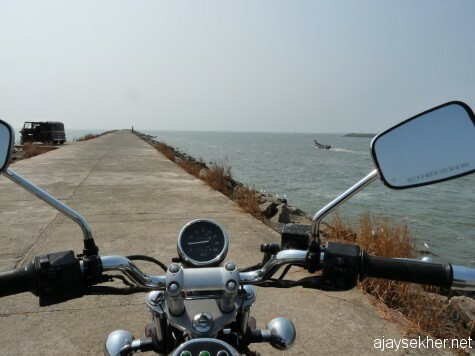 Riding into the sea. 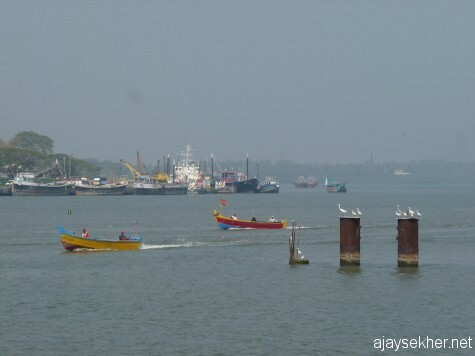 Wave breaker or Pulimuttu at the mouth of Chaliyar that allows the Bepur port and fishing docks in Chaliyar estuary. 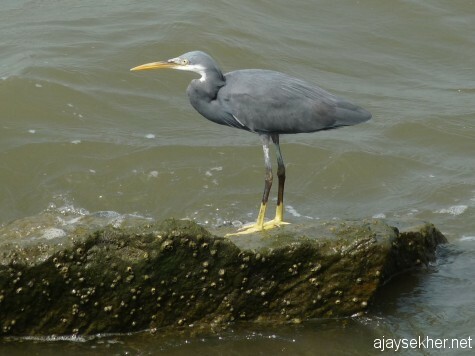 A Western Reef Egret by the wave breaker at the mouth of the Chaliyar. Pacific Reef Egrets were also seen but could not shoot as I was riding. 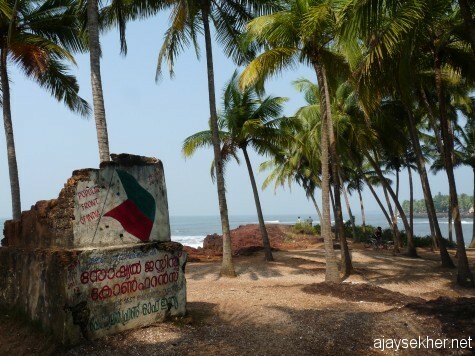 The laterite projection guarding the southern shoulder of Kadalundy river mouth. 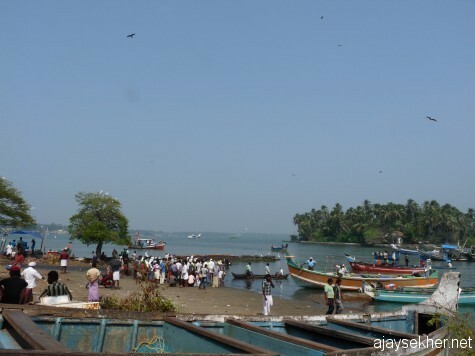 It formed an ancient way in for the ships and became renowned all over the world as Kadalundy Nagaram, the port city of Kadalundy. 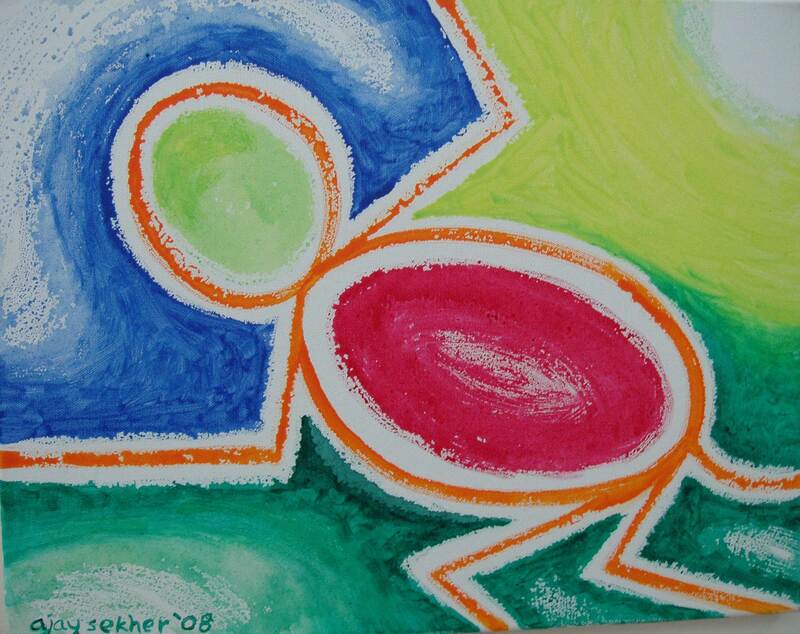 It was famous as Tyndis or Thondi during the early common era. Road bridge also in the right backdrop. I remember visiting the place way back in 1995 some eighteen years ago as I was teaching in a school in Kottakal for an academic year soon after my TTC, just before my BA. The road bridge was not there then. Vijesh Vallikunnu the native says that the bridge is also scarring away the migrant birds from distant shores. 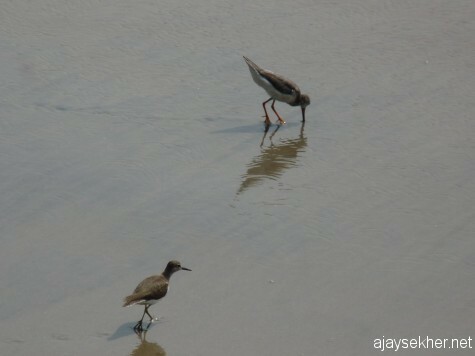 Common Sandpiper and Terek Sandpiper (upper right) at Chaliyam. Common Sandpipers have become extremely uncommon this winter on the Malabar coast. Ruins of the old British structure at the mouth of river Kadalundy. 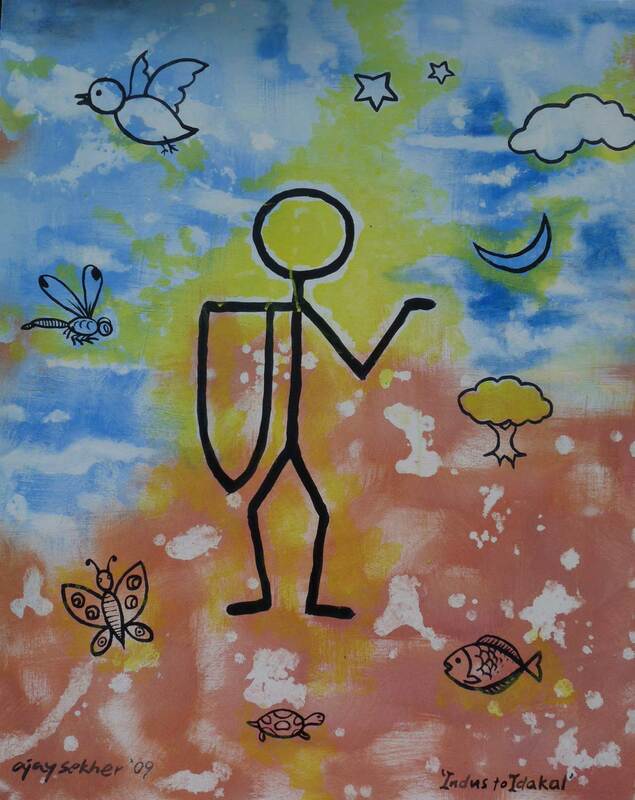 Kadalundy Nagaram was known as Tyndis or Thondi during the Sangam age. 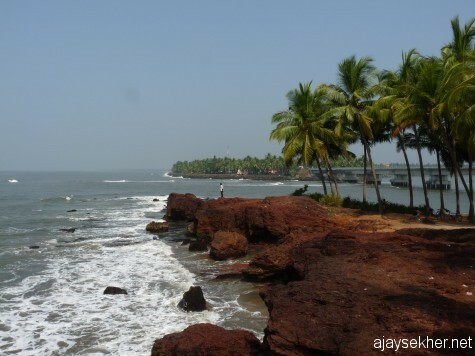 Roman, chinese and Arab ships used enter Malabar coast through this river mouth. 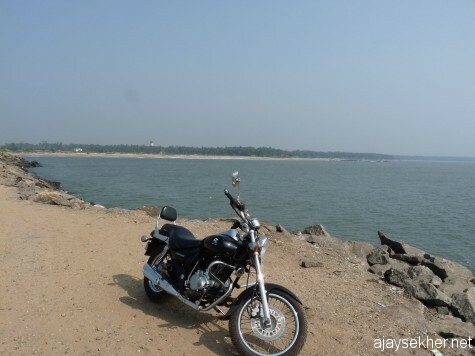 Bepur port from Chaliyam. 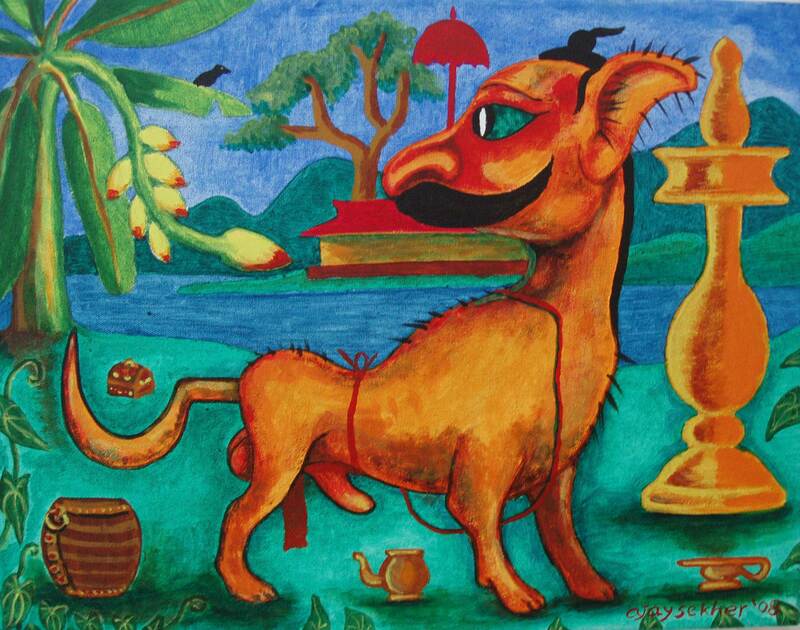 Bepur was made his second home by Bepur Sultan Basheer in the 20th century and Chaliyam was made into a strategic vantage by Tipu Sultan in 18th century. The Zamorin raised down the fort at Chaliyam built by the Portuguese in 1503. The relics are still seen in Chaliyam beach. Puzhakara Pally founded by MaliK Dinar in AD 7th century (Hijra 22). This ancient Islamic monument was rebuilt several times later and was originally part of the ten seminal mosques established by Hazrat Malik-ibnu-Dinar in various regions of Kerala including Thalangara/Kasaragod, Cheraman Pally/Kodungallur and Thazhathangady Jumath Pally/Kottayam. A view of Chaliyam beach from the wave breaker projecting into the sea. Chaliyam fort was located towards the right. 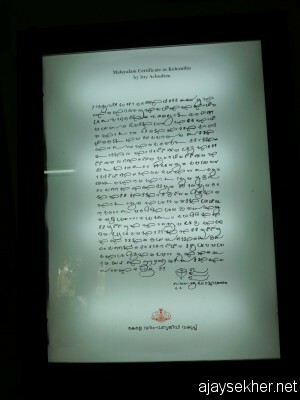 Certificate given by Itty Achuthan Vaidyar for Hortus Malabaricus in Kolezhuthu script in his own hand in the 17th century to the Dutch. 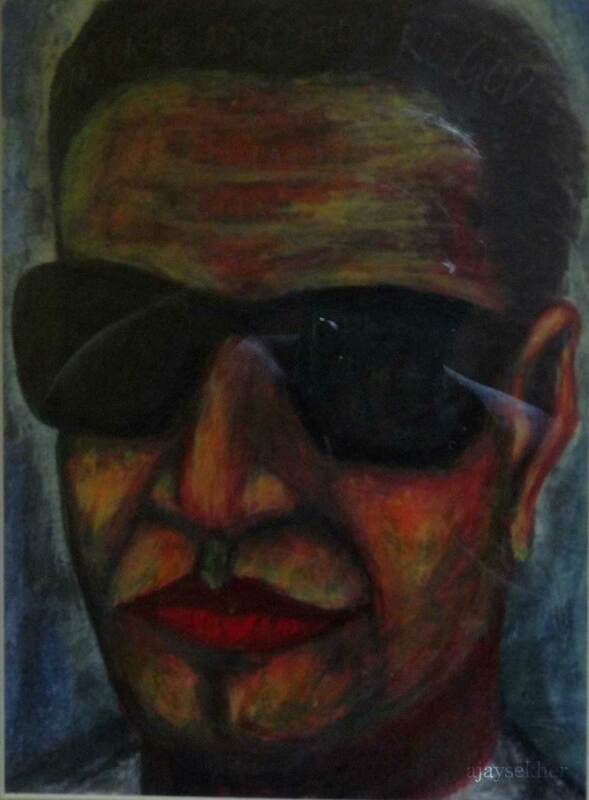 Displayed in Chaliyam Sasya Sarvaswam, Calicut. 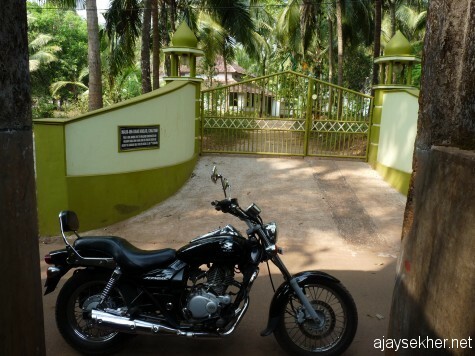 The gate of Puzhakara Pally, Chaliyam. AD 7th century. 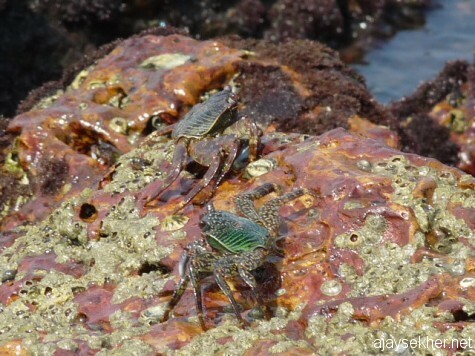 Marine crabs at Kadalundy river mouth. 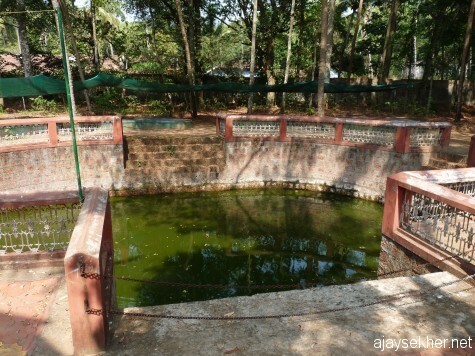 Old oval pond in Chaliyam. Could be an ancient pond and water source. The British made it part of their railway yard, now protected by the Forest Dept. 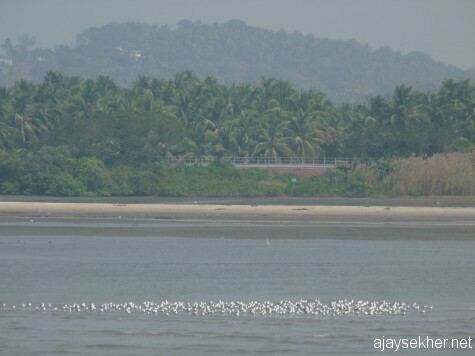 This entry was posted in Culture and Ecology, Eco Watch and tagged Bepur sulthan, birding Malabar, birds on Malabar coast, Calicut, Chaliyam, Chaliyar, Chandragiri estuary, common sandpiper, Gulls, Itty Achuthn and Kadakara Pally, Kadalundy, Kadalundy Nagaram, Kerala birding, Kutipuram, Malabar coast and briding, Manjeswaram estuary, migratory season 2012-13 in Kerala, Nila, pelagic birds in Kerala, Pelagic brids in Kerala coast, Perar, Portuguese in Malabar, sandpipers, Sasya Sarwaswam, Sea gulls in Kerala, shore birds in Malabar, terek sandpiper, Zamorin on January 6, 2013 by Ajay.